ESET®, a global pioneer in proactive protection for more than two decades, has recently received several impressive accolades in Germany and Austria. As the leading IT security vendor from the European Union*, the company is being recognized as a growing power on the German-speaking market. ESET Endpoint Security has been selected by the readers of Vogel IT-Media publishing house as the best “business AV product” on the German market. In a separate development, the just-to-be-launched ESET Parental Control for Android has been selected as the best children protection app. Also, ESET Mobile Security won the best security app recognition by the Austrian Android magazine. “Business users had their say in the latest survey of IT media readers and have selected ESET as the best business security software. At ESET we put users of our products always in the first place and we are very proud that technologically-savvy and especially demanding users in Germany think of ESET as their first option,” says Stefan Thiel, Country Manager ESET D-A-CH (Germany, Austria, Switzerland). The above successes are not the only accolades ESET has enjoyed in the last few days. For the second year in a row, ESET’s growth in Germany’s business segment has been recognized by readers of the influential IT channel publication – the CRN magazine – who have selected Germany’s B2B Director Wetzel as the second best “Channel Champion of 2015”. It was already Maik’s third such nomination. ESET has also scored a silver medal in the “Security” category during CRN’s awards ceremony. ESET is the only IT Security vendor which has continuously achieved the top three ranking in CRN awards since its introduction in 2012. 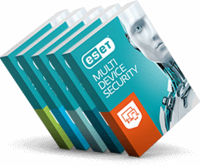 “Germany is definitely one of ESET’s most important markets in Europe and indeed around the world. The strength of our technology and top-notch team have proven a good mix for success. We are very proud and happy that this has been yet again confirmed by the public and specialized media,” adds Miroslav Mikus, ESET EMEA Sales and Marketing Director. In addition, ESET mobile products have received positive reviews in Austria. In its latest issue, the Android magazine, chose the soon-to-be-launched ESET Parental Control for the best app of 2015 in children protection, while ESET’s flagship product for mobile devices − ESET Mobile Security, has been awarded the best mobile security app of 2015. ESET was ranked as the 5th largest endpoint security vendor in 2013 and grows by 23% − 6 times the market growth rate, reports IDC in their report titled ‘Worldwide Endpoint Security 2014-2018 Forecast and 2013 Vendor Shares’ from August 2014.